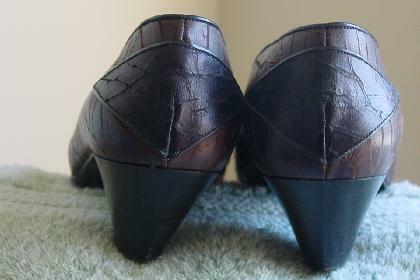 These leather pumps are by Maud Frizon. 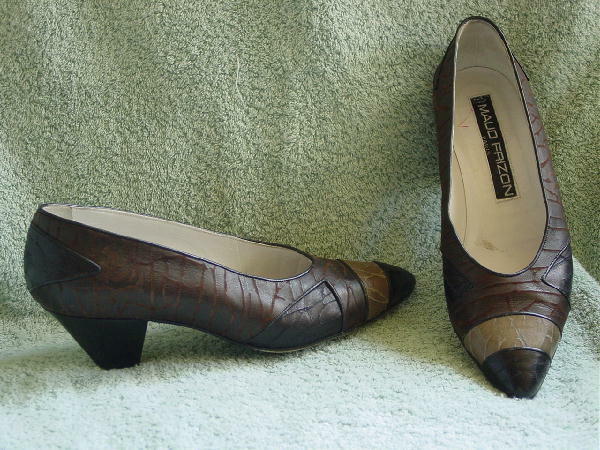 The shoes are in black, khaki-burnt olive, and dark brown. They have what looks like an abstract branch design in a lighter shade of each of the 3 colors. There is an elevated black leather edging outlining the black and khaki-burnt olive. The interior leather lining and insole are in white. It's an interesting design and very nice leather. There are a couple of scuff marks. They were worn in two movies.